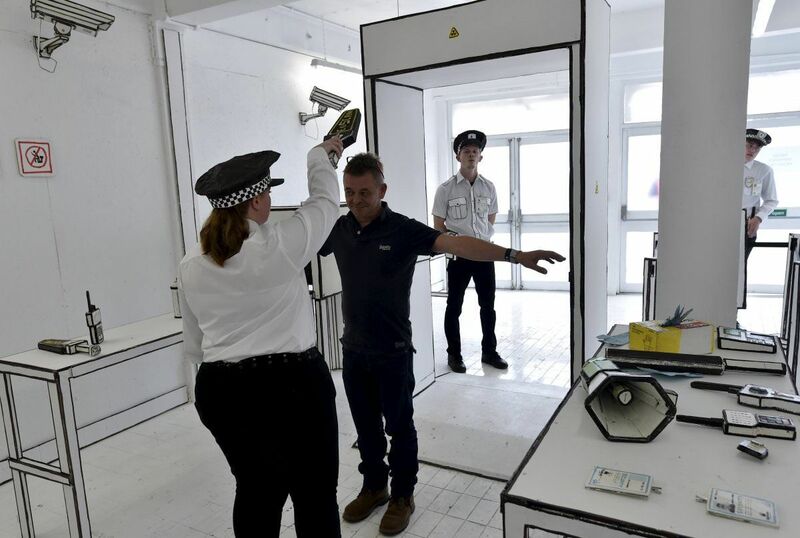 For six weeks only the derelict Tropicana lido building in Weston-super-Mare, Somerset, has been transformed into a ‘bemusement’ park, a world where nothing is as it seems. 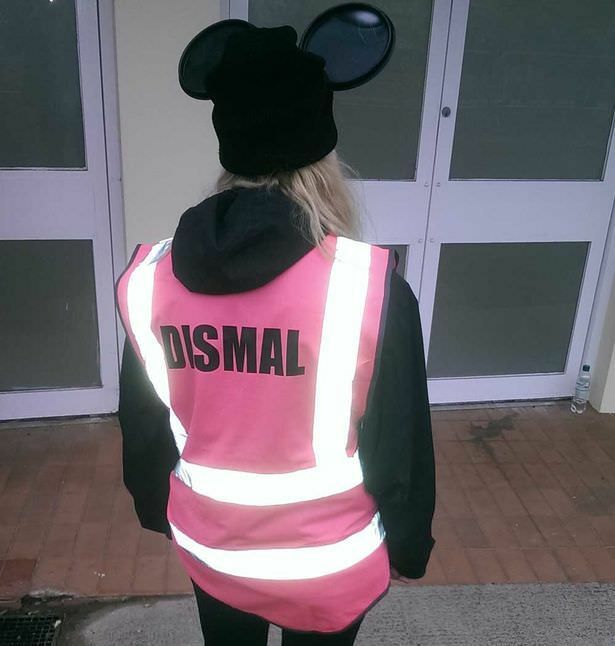 Entitled ‘Dismaland’, it’s Disney gone wrong and is definitely not suitable for children. Built in 1937, the Tropicana was Europe’s largest outdoor swimming pool before it shut down 15 years ago. This exhibition has made it home to work by some of the most cutting-edge artists in the world right now including Mike Ross, Jenny Holzer and legendary Brit pop artist Damien Hirst. 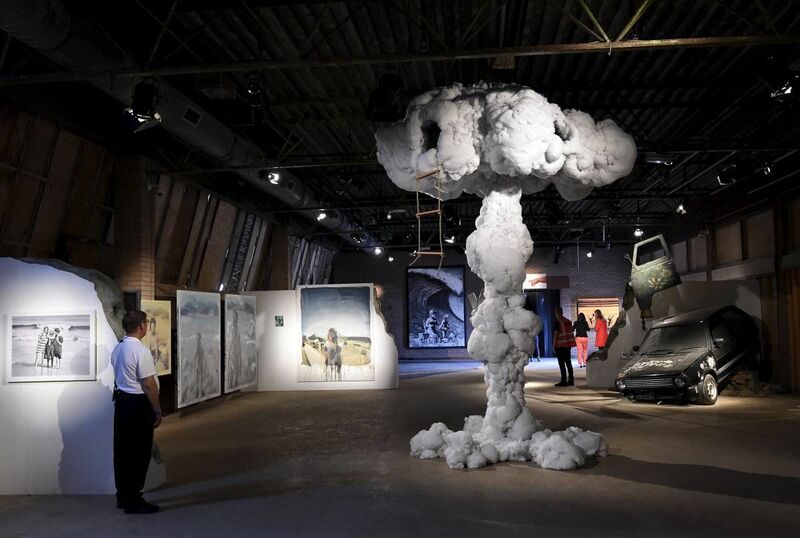 The park is the brainchild of anonymous grafitti artist and political activist Banksy, and is the biggest show he has curated to date. 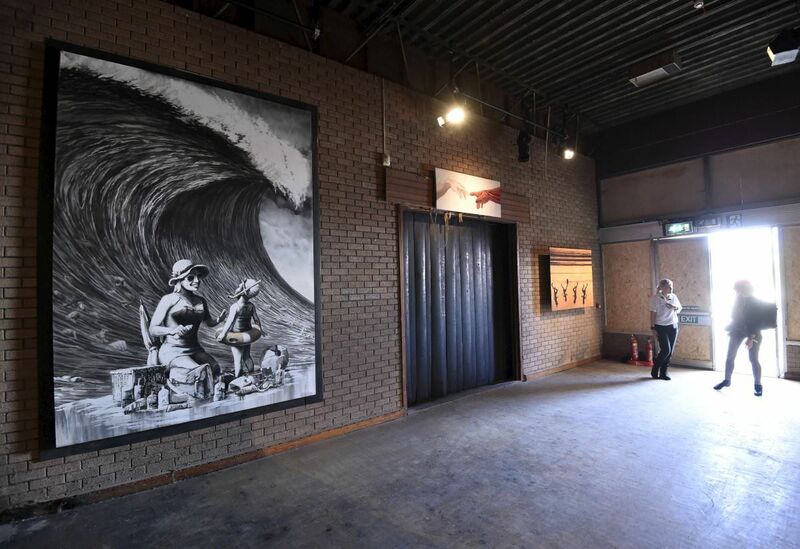 A step away from the street art he is known for, his team originally claimed that the former lido was the site of a top secret film set to keep their plans under wraps. 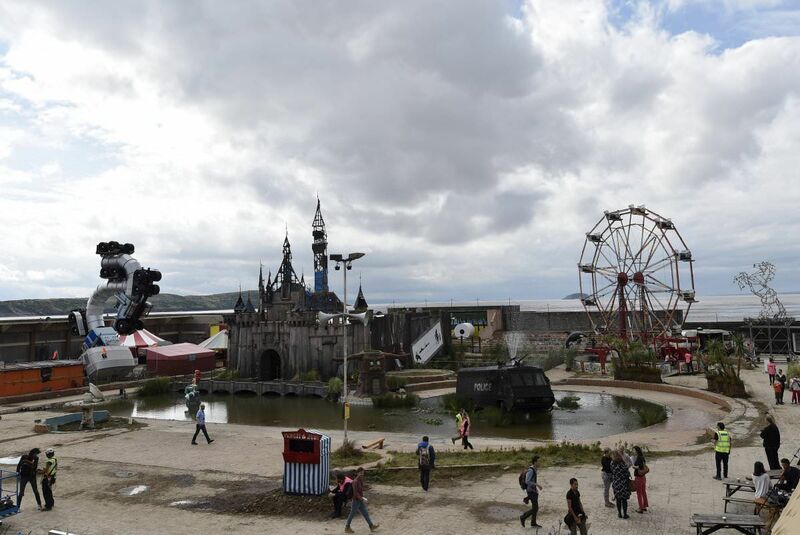 The artist himself has dubbed the park “a festival of art, amusements and entry-level anarchism”, and as with all of Banksy’s art, the underlying theme is a critique of modern society. 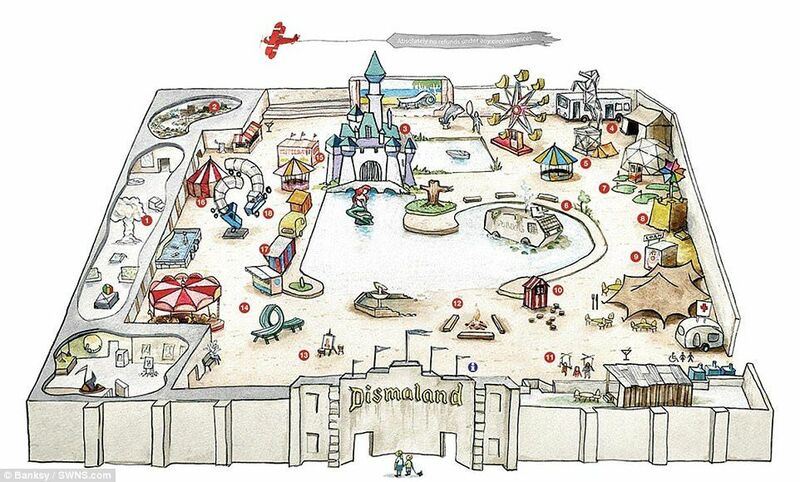 However, despite it’s intriguing premise as the anti-Disneyland, reviews have so far been underwhelming. The satirical show has labelled itself “UK’s most disappointing new visitor attraction,” and ironically a large number of audience members seem to agree. Many have found the spectacle too macabre rather than humourously dark, with several people taking offence at certain art works. 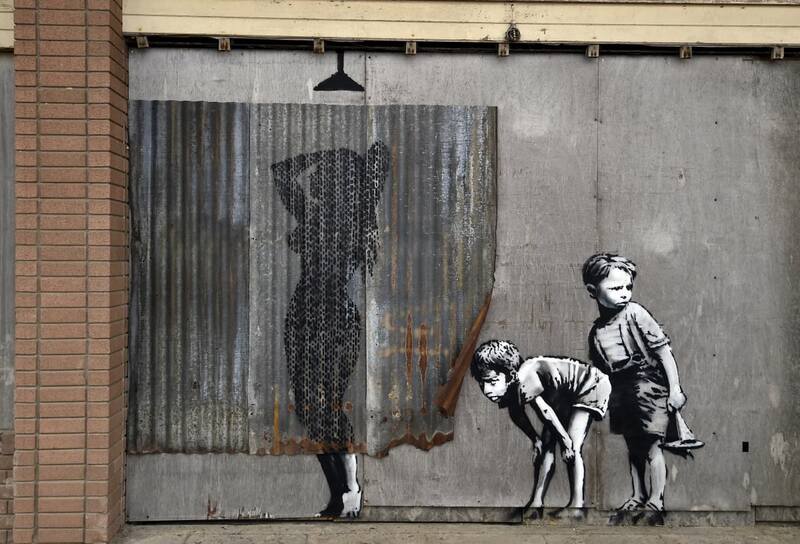 One particularly controversial piece includes Disney’s Cinderella, and is one of Banksy’s own contributions to the show. 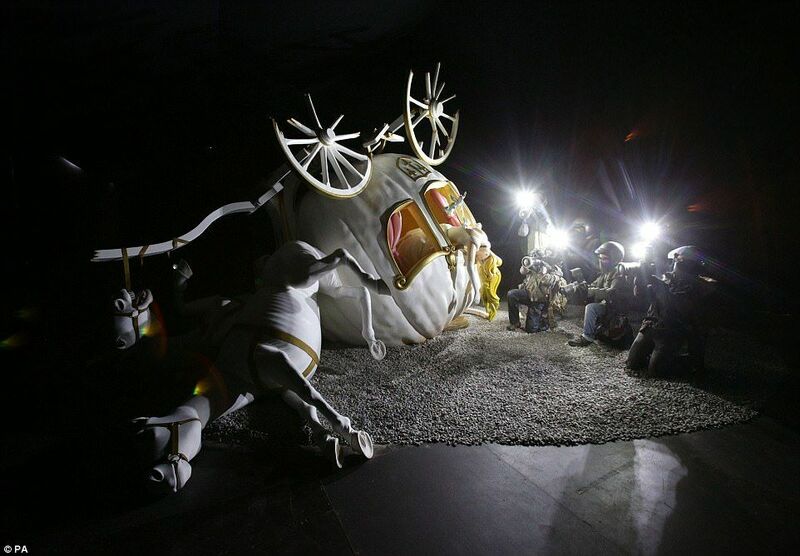 An upturned carriage resembling the one seen in the 1950 Disney classic shows a seemingly deceased blonde princess sprawled out one side with the paparazzi shamelessly taking pictures of the body. Many have drawn parallels between this scene and the death of the beloved Princess Diana, who died in a car accident in a French tunnel in 1997 while being chased by the press. 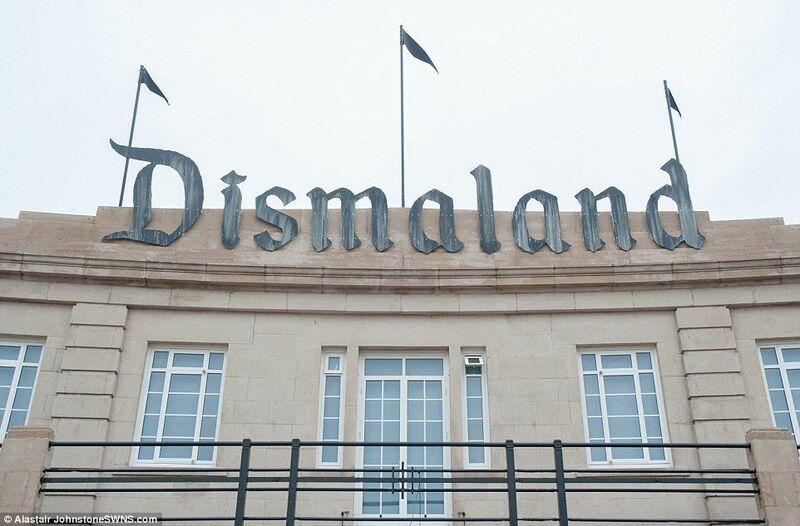 However, Banksy has made a career out of courting controversy, and since in the art world all publicity is good publicity I doubt he’s losing much sleep over it. 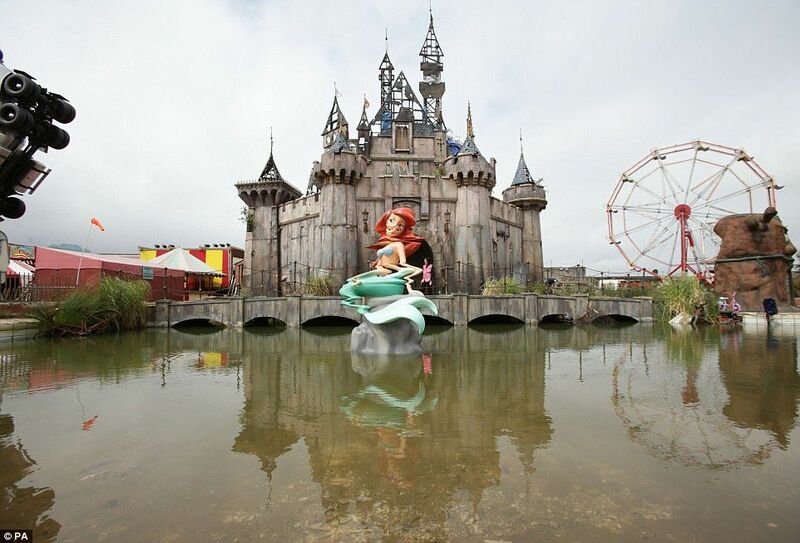 Another Disney princess referenced is Ariel from 1989 film The Little Mermaid, seen perched on a rock in front of a burned out fairytale castle. This piece is also of the artist’s own design, and the distorted cartoon heroine is an excellent metaphor for the park as a whole. This place will ruin your childhood, and pervert everything you hold dear. 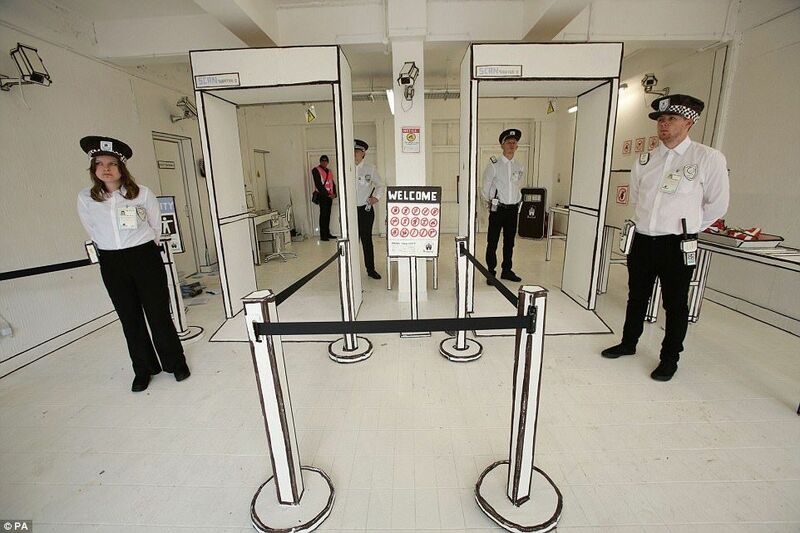 To enter the park guests must go first through a cardboard security gate guarded by real officers, which is an installation by artist Bill Barminski. Journalists were treated to a first look on Thursday, before locals were admitted for free on Friday. Yesterday was the first day for general admission, with the ticket price set at £3. However, the park has been so popular that thousands have been unable to get one. Some have even questioned if the miserable frustration of getting a ticket is part of the experience. After all, a visitor attraction that calls itself disappointing probably wouldn’t want to make gaining access too easy, right? 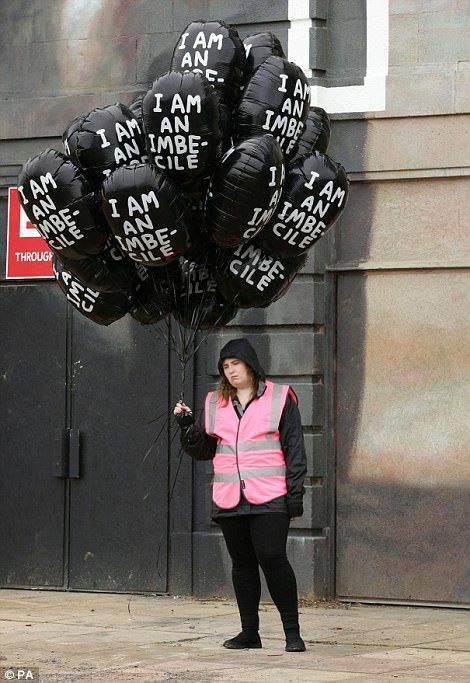 Others have even gone as far to suggest the whole thing is a very complex hoax and that the exhibition may not really exist due to the slightly dodgy website and the difficulty the general public have had in accessing the venue. However, this is unlikely, as there is video footage of the park in action from legitimate and reliable sources such as the BBC. But tickets are now unavailable to buy online until Tuesday, meaning massive queues up to the door. Despite all the furore, once you finally make it through guests are treated to a range of morbidly fantastic art works. Banksy claimed that every artist he commissioned except two have taken part, and the list of names is seriously impressive. Take a look below at some of the incredible yet twisted pieces featured below. 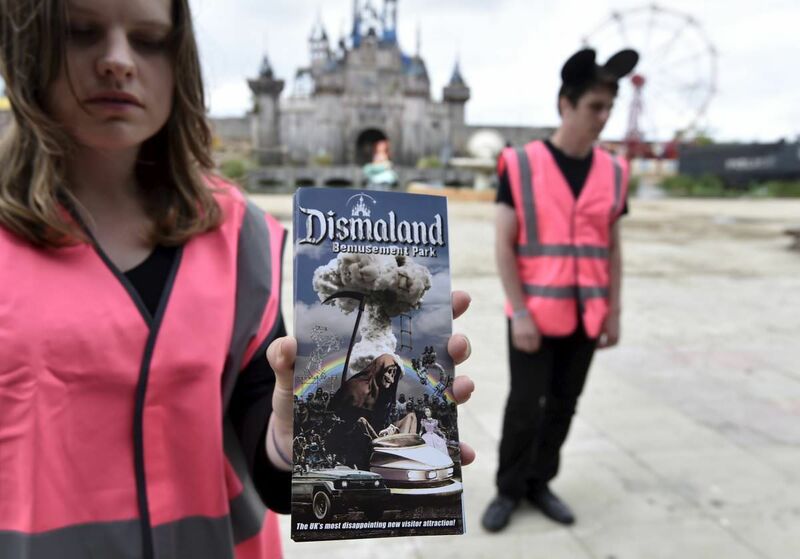 The park’s official brochure, which is handed out by sullen guides telling visitors to “end joy” the experience. A map of the park, showing where various pieces are located. 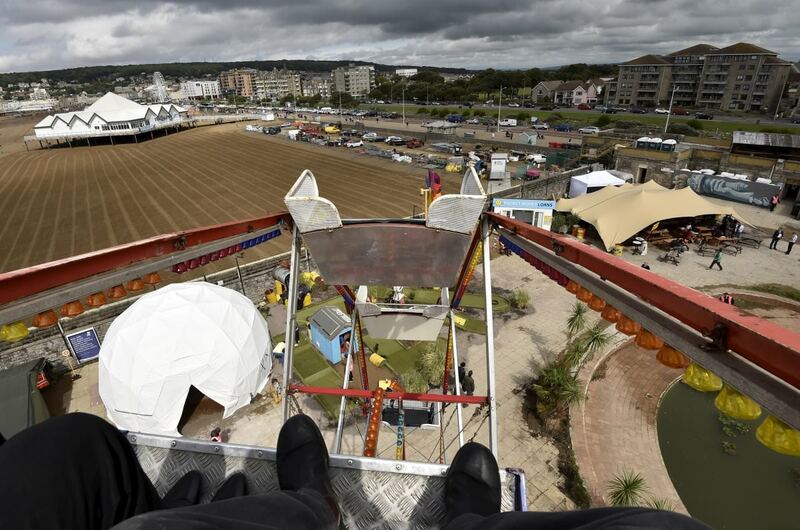 The rickety ferris wheel offers a full view of Dismaland. 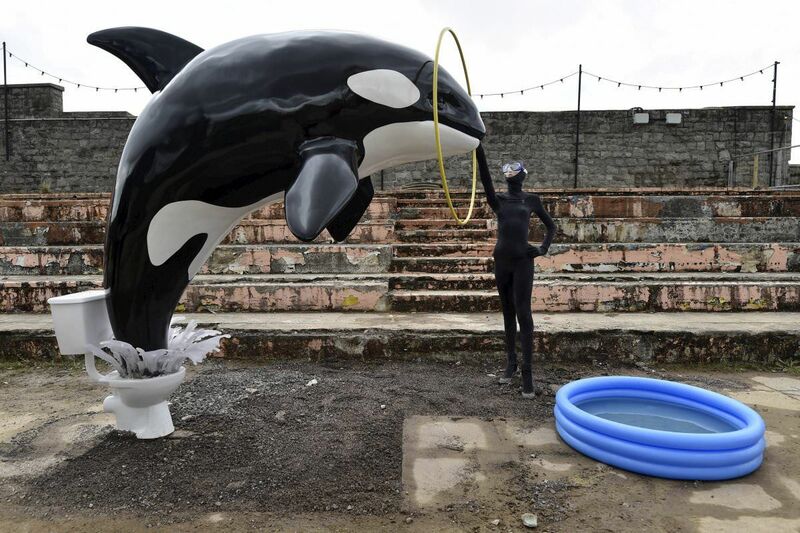 Many of the art works are critical of modern forms of entertainment, such as this piece which references the mistreatment of animals at Sea World. And Banksy’s own street art can be found scattered throughout the park. Who would have guessed? 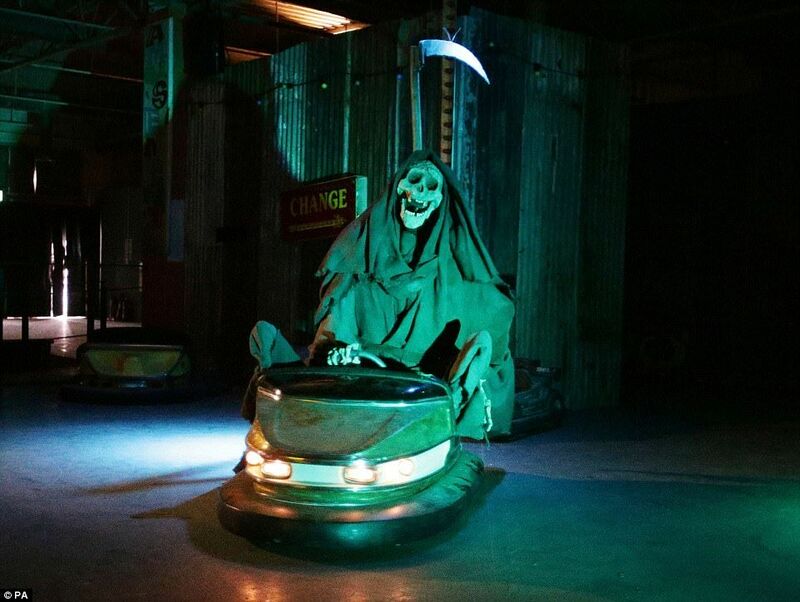 The Grim Reaper likes the bumper cars! 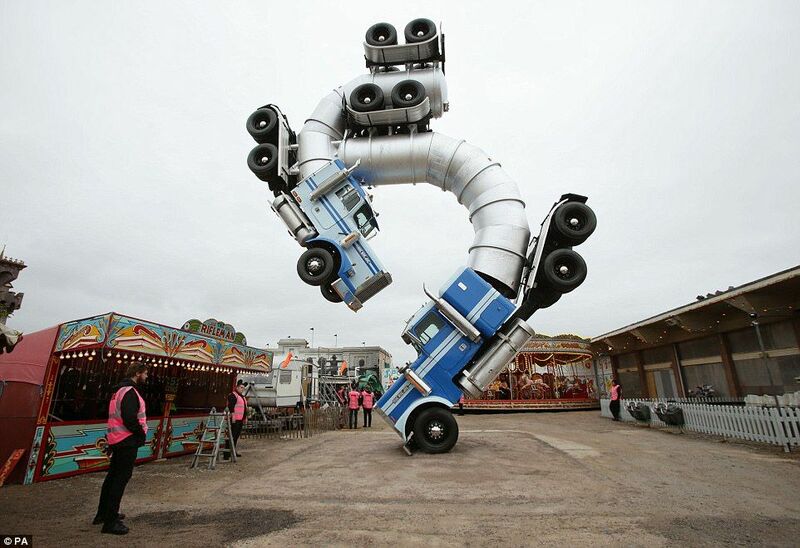 “Big Rig Jig” by Mike Ross, who is known for his large scale installations. 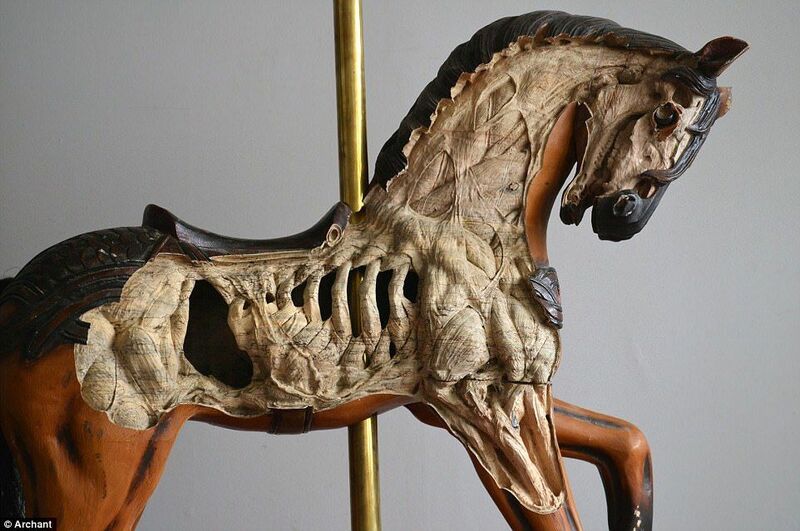 A zombie fairground horse by Maskull Lasserre distorts the traditionally innocent connotations associated with merry-go-round rides. 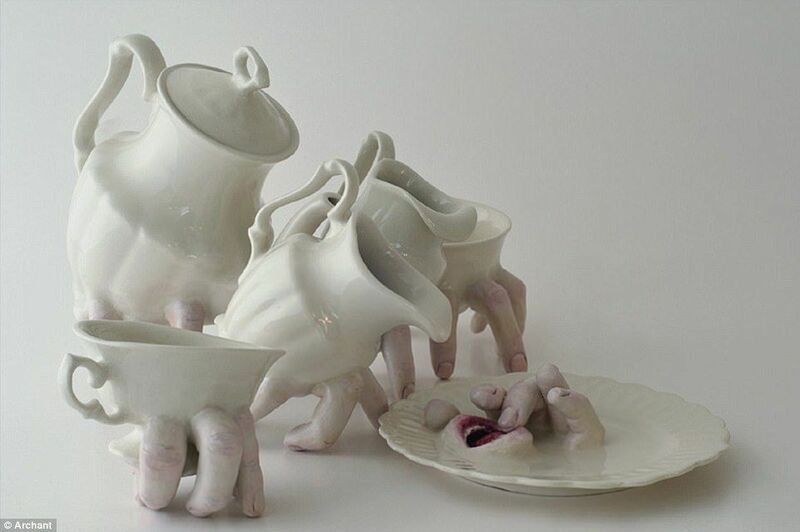 Nobody wants a cuppa from this teaset by Israeli artist Ronit Baranga. This boat installation, which can be found in the water surrounding the burned out castle, has also caused controversy. 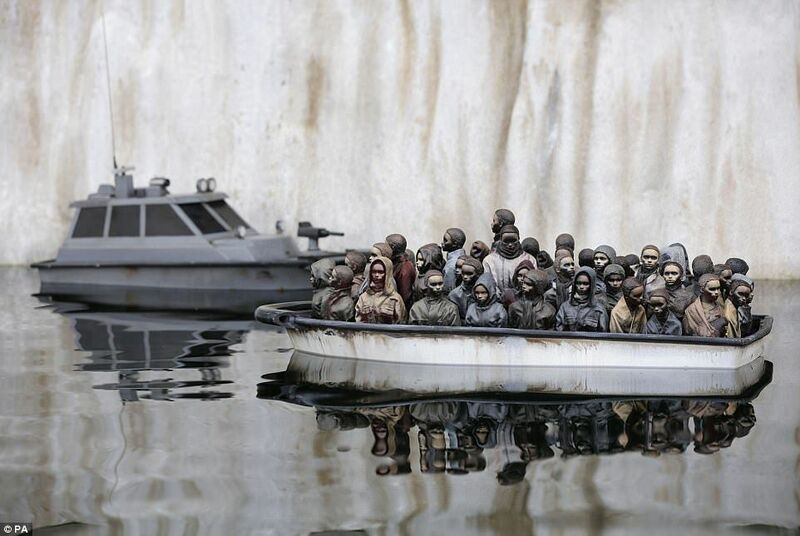 It features a group of migrants huddled in a boat with another boat pointing guns at them, seemingly a reference to the current refugee crisis. 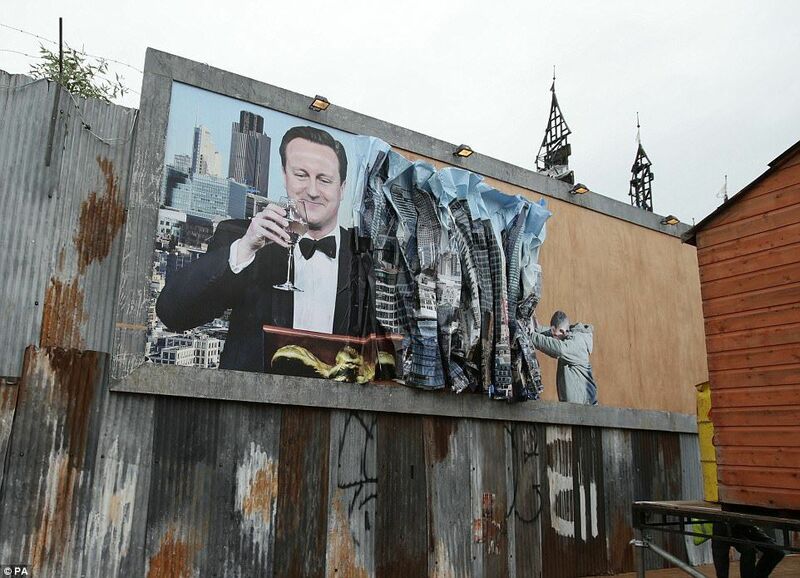 A billboard art work featuring prime minister David Cameron by Peter Kennard and Cat Phillips, who are the creative duo behind THAT Tony Blair selfie. As well as outdoor interactive and sculptural installations, the park also contains indoor galleries filled with more art works. 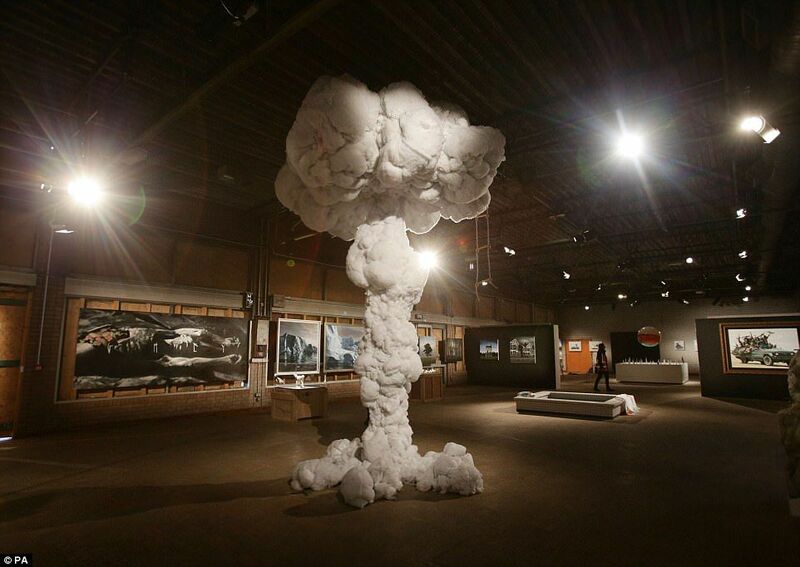 One such piece is this mushroom cloud by Dietrich Wegner. 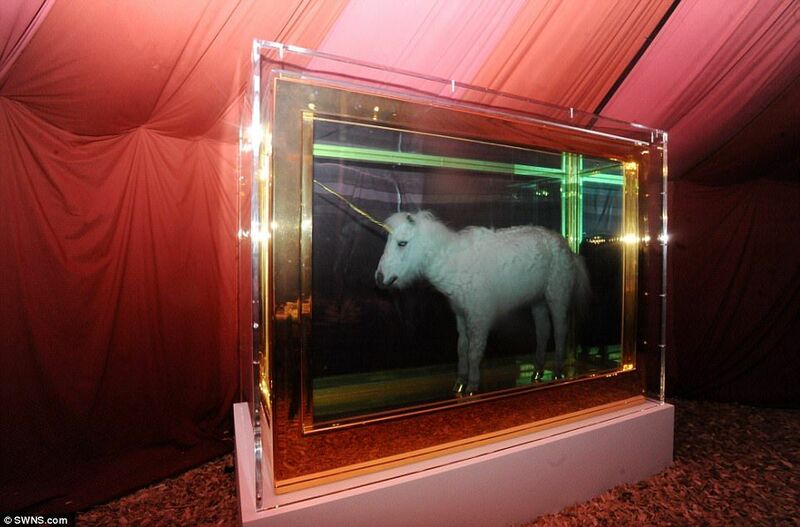 And this unicorn sculpture by the renowned Damien Hirst. 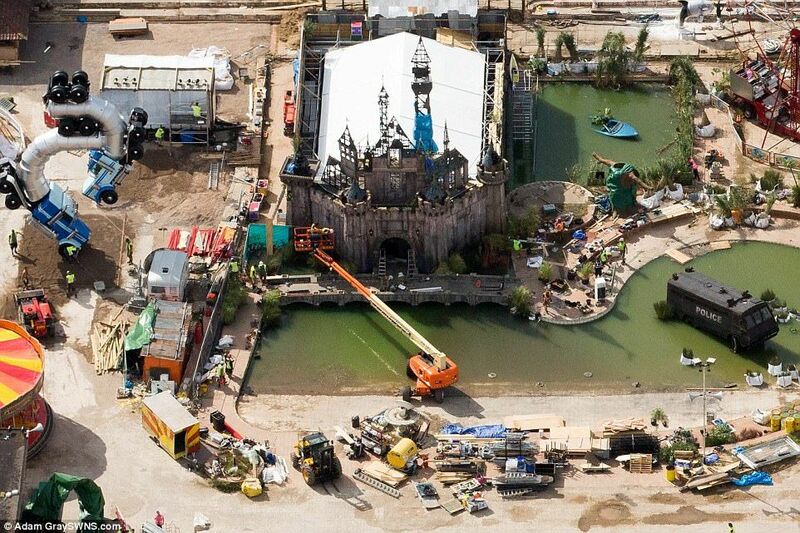 Here is a view of Dismaland from above. 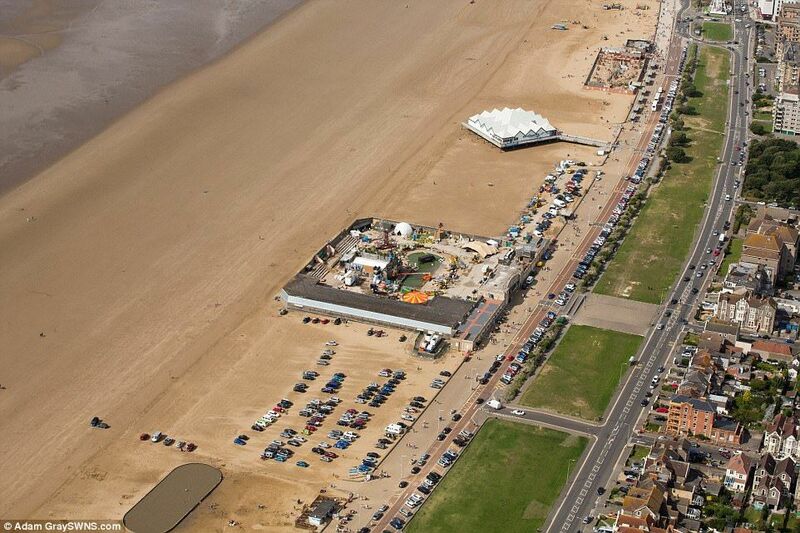 And finally, an aerial view of the venue as a whole. Still want to know more? Then watch this video! If you still want some tickets, get them here. He's so far released four albums, four mixtapes, one EP and just over 100 singles, and he doesn't show signs of slowing down any time soon. Here are 9 of the most impressive records Drake has broken.